Natan Sharansky is a former Soviet dissident and Likud Party official in Israel whose hardline ideas about Middle East peace have been championed by neoconservatives and other rightist political actors in the United States. Sharansky gained widespread media attention after President George W. Bush’s 2005 State of the Union Address, which pundits noted was heavily influenced by Sharansky’s 2004 book The Case for Democracy: The Power of Freedom to Overcome Tyranny & Terror. Sharansky, who spent several years in the Soviet gulag before emigrating to Israel, has served as a top official in the Israeli government, including as a deputy prime minister in the Likud government of former Prime Minister Ariel Sharon. In November 2006, Sharansky resigned from the Knesset, taking up the post of chairman and distinguished fellow at the Institute for Strategic Studies, a research department at the Shalem Center in Jerusalem, which previously named after its key funder, the American casino magnate Sheldon Adelson. The formerly namedAdelson Institute has cited among its main issues “how to advance freedom and democracy in the Middle East … and the strengthening of Israel’s relations with the United States.” Fellows at the institute have included former chief of staff of the Israeli military Moshe Ya’alon, a fierce critic of Israel’s decision to pull out of the Gaza Strip; Michael Oren, a Middle East historian who would later become Israel’s ambassador to the United States; and Martin Kramer, a scholar who led a campaign for Congress to create a political review board overseeing U.S. Middle East language studies centers. Although Sharansky is no longer a public official, he remains politically active and often speaks out about issues concerning Israel and anti-Semitism. In early 2016, he and actor Michael Douglas toured U.S. college campuses to discuss modern anti-Semitism. The conference, sponsored by the Prague Security Studies Institute, the Adelson Institute for Strategic Studies, and Spain’s Foundation for Social Analysis and Studiesalso was attended by Freedom Watch’s Sheldon Adelson; Peter Ackerman of Freedom House; Anne Bayefsky of the Hudson Institute; Jeffrey Gedmin of Radio Free Europe; Reuel Marc Gerecht, Joshua Muravchik, Michael Rubin, and Michael Novak of the American Enterprise Institute (AEI); Devon Gaffney Cross; Farid Ghadry of the U.S.-based Reform Party of Syria; Bruce Jackson of the Project on Transitional Democracies; Sen. Joseph Lieberman (I-CT); Clifford May and Walid Phares of the Foundation for Defense of Democracies; and Harold Rhode, a Pentagon employee close to many core neoconservatives like David Wurmser. Sharansky is also a founding member and current chairman of One Jerusalem, a New York-based organization whose mission is “maintaining a united Jerusalem as the undivided capital of Israel,” proclaiming that “only Israeli sovereignty will protect access to the holy sites of all three major religions.” Other prominent U.S. cofounders of One Jerusalem include Douglas Feith and David Steinmann, who is chairman of the Jewish Institute for National Security Affairs and a board member of the Center for Security Policy. Sharansky credits President Ronald Reagan, Soviet dissident Andrei Sakharov (for whom Sharansky served as a translator), and Sen. Henry “Scoop” Jackson (D-WA) as playing integral roles in the collapse of the Soviet Union. Richard Perle, a one-time leading neoconservative activist and a former Jackson staffer, says Jackson and Sharansky are his two personal heroes. Sharansky is a frequent guest at neoconservative institutions in the United States, especially the American Enterprise Institute. Although he resists any political label aside from “Zionist,” his writing and speeches often use the political terminology and frameworks of the neoconservatives, including putting a right-wing spin on such terms as “moral clarity,” “appeasement,” and “totalitarianism.” In his articles in Commentary and other neoconservative publications, Sharansky rejects attempts to establish a “moral equivalence” between the Israelis and the Palestinians. In a December 2004 review of The Case for Democracy in the Weekly Standard, Meyrav Wurmser noted that Bush had not only read the book, but also met with Sharansky and recommended to Condoleezza Rice that she read it, too. Wurmser concluded that “one of the great champions of freedom is now influencing the thinking of the most powerful man in the world”—an observation seemingly supported by Bush’s 2005 State of the Union address. In the 1970s the Ukrainian-born Sharansky engaged “in underground Zionist activities”; in 1977 Soviet authorities arrested him on charges of treason and spying for the United States. Washington denied any connection between Sharansky and the CIA, but in 1978 he was found guilty and began serving a 13-year prison sentence. 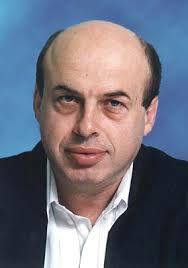 In 1988 Sharansky founded the Zionist Forum, an organization that represented former Soviet activists, and in 1995 Sharansky formed Yisrael B’Aliya, a political party intended to represent new Jewish immigrants to Israel. Sharansky has held a wide range of cabinet posts, including interior minister, housing and construction minister, and industry and trade minister. He served as deputy prime minister to Ariel Sharon from March 2001 to February 2003, when he broke with Sharon for his decision to withdraw from the Israeli-occupied Gaza Strip. 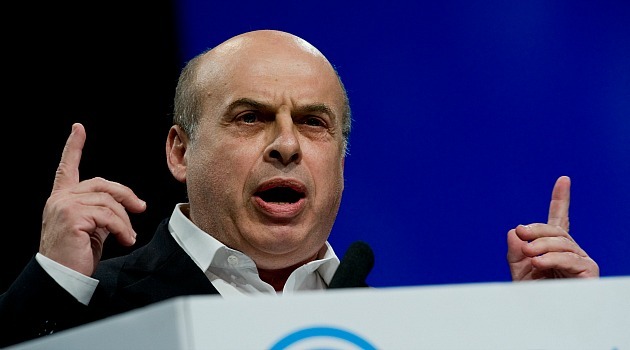 Upon resigning as deputy prime minister, Sharansky became minister for Jerusalem affairs and the diaspora as part of a deal in which his Yisrael B’Aliya merged with the ruling Likud Party. Sharansky has asserted that Middle East studies departments at U.S. universities have adopted an anti-Israel posture due to “years of massive investments of money and effort by Arab states and the Palestinians.” Due to “generous Saudi funding,” such departments have “been set up to establish pseudo-scientific theories, presenting Israel as the last colonial state, whose very existence is immoral regardless of borders.” As diaspora minister, Sharansky fought this supposed trend with “a concentrated effort,” with help from partners including the American-Israel Public Affairs Committee (AIPAC) and Caravan for Democracy. He visited more than 20 U.S. campuses during his time as diaspora minister to address and raise awareness about what he saw as the tendency on U.S. campuses to eliminate or minimize the Zionist perspective. Daily Kos, “Mandela, Mother Theresa, Pope John Paul II, and Who?? ?” December 11, 2006,https://web.archive.org/web/20081026105643/http://www.dailykos.com/story/2006/12/11/61015/657/832/279854. Chris Suellentrop, “My Sharansky,” Slate, January 26, 2005,http://www.slate.com/id/2112699/. Natan Sharansky with Ron Dermer, The Case for Democracy: The Power of Freedom to Overcome Tyranny and Terror (New York: Public Affairs, 2004). Knessett Members: Natan Sharansky, http://www.knesset.gov.il/mk/eng/mk_eng.asp?mk_individual_id_t=127. Gil Hoffman and Steve Linde, “A Dream Is Not a Strategy,” Jerusalem Post, October 20, 2006, p. 15. Adelson Institute for Strategic Studies, Shalem Center, http://www.shalem.org.il/research/?did=17; PR Newswire, “$4.5 Million Gift Establishes Adelson Institute for Strategic Studies at the Shalem Center in Jerusalem,” April 30, 2007,http://www.prnewswire.com/news-releases/45-million-gift-establishes-adelson-institute-for-strategic-studies-at-the-shalem-center-in-jerusalem-58888782.html. Shalem Center, Scholars and Faculty, https://web.archive.org/web/20090318100737/http://www.shalemcenter.org.il/about/?did=10; “Sharansky to Resign From Politics,” Forward, October 20, 2006, http://forward.com/news/5939/sharansky-to-resign-from-politics/; Joel Beinin, “Thought Control for Mideast Studies,” Right Web, https://rightweb.irc-online.org/pdf/0403mestudies.pdf. Jewish Telegraph Agency, “Michael Douglas, Natan Sharansky to discuss anti-Semitism in campus visits,” January 20, 2016,http://www.jta.org/2016/01/20/news-opinion/united-states/michael-douglas-natan-sharansky-to-visit-u-s-campuses. Democracy and Security Conference, “List of Participants” (PDF), www.democracyandsecurity.org/doc/List_of_Participants.pdf. White House, Office of the Press Secretary, “President Bush Visits Prague, Czech Republic, Discusses Freedom,” June 5, 2007,http://www.whitehouse.gov/news/releases/2007/06/20070605-8.html. Rob Cameron, “Natan Sharansky: Iran Will Bring on Nuclear Catastrophe to Enter ‘Paradise,’” Prague Radio, June 6, 2007,http://www.radio.cz/en/article/92105. Etgar Lefkovits, “Sharansky Launches Public Campaign to Thwart Plan to Divide Jerusalem,” Jerusalem Post, November 21, 2007, https://www.highbeam.com/doc/1P1-146329671.html. Jay Nordlinger, “Being Sharansky: On Russia, Israel, ‘Reaganite Readings,’” National Review, July 4, 2005,http://www.nationalreview.com/article/373923/being-sharansky-jay-nordlinger. For Jackson’s legacy, see Paul Buhle, “The Civil Liberties Crisis and the Threat of ‘Too Much Democracy,’” Tikkun, Vol. 13, May/June 2003, p. 33. Michael Hirsh, “Closing the Neocon Circle,” Newsweek Web Exclusive, January 25, 2005,http://www.freerepublic.com/focus/f-news/1328551/posts. For examples of Sharansky’s language, see his 2005 interview in the Middle East Forum at http://www.meforum.org/article/666; Natan Sharansky, “On Hating Jews,” Commentary, November 2003, https://www.commentarymagazine.com/culture-civilization/popular-culture/hating-jews-at-nyu/. Natan Sharansky with Ron Dermer, The Case for Democracy: The Power of Freedom to Overcome Tyranny and Terror (New York: Public Affairs, 2004), p. 17. “Speeches from the 2002 Pro-Israel Washington Rally,” National Christian Leadership Conference for Israel,https://web.archive.org/web/20081011172342/http://www.nclci.org/washrally-Sharansky.htm. Meyrav Wurmser, “Democracy Defended,” Weekly Standard, December 6, 2004,http://www.weeklystandard.com/Content/Public/Articles/000/000/004/972bizdl.asp. Jonathan Holmes, “Interview with Jim Lobe,” February 17, 2003,http://www.abc.net.au/4corners/content/2003/20030310_american_dreamers/int_lobe.htm. Natan Sharansky, “On Hating Jews,” Commentary, November 2003, https://www.commentarymagazine.com/culture-civilization/popular-culture/hating-jews-at-nyu/. “Natan Sharansky,” Israel Ministry of Foreign Affairs,https://web.archive.org/web/20080516124905/http://www.mfa.gov.il/MFA/MFAArchive/2000_2009/2003/3/Natan%20Sharansky. Associated Press, “Natan Sharansky Getting Ronald Reagan Freedom Award,” February 28, 2008,http://legacy.sandiegouniontribune.com/news/state/20080228-1131-ca-people-sharansky.html. Natan Sharansky, “Peace Will Only Come after Freedom and Democracy,” Middle East Quarterly, Winter 2005,http://www.meforum.org/666/natan-sharansky-peace-will-only-come-after. Eleanor Hall, “Former Israeli Minister Calls for Invasion of Gaza,” Australian Broadcasting Corporation, February 29, 2008,http://www.abc.net.au/worldtoday/content/2008/s2176499.htm. Hilary Leila Kreiger, “Yisrael B’Alikud,” Jerusalem Post, February 14, 2003, https://www.highbeam.com/doc/1P1-71893692.html. Natan Sharansky, “Tour of U.S. Schools Reveals Why Zionism is Flunking on Campus,” The Forward, October 24, 2003,http://forward.com/news/6901/tour-of-us-schools-reveals-why-zionism-is-flunking/. Jenny Hazan, “Sharansky to Students: Speak Out,” Jerusalem Post, July 12, 2004, http://www.campus-watch.org/article/id/1212.